With the wrap up of the Vancouver International Wine Festival 2014, with the Theme Country of France and the Global Focus of “bubbles“, we now cast our eyes forward to 2015. Which will be the Theme Country and what will be the Global Focus? Read on and find out! Vancouver, BC, March 7, 2014 — The Vancouver International Wine Festival, presented by The Vancouver Sun, wrapped up its 36th extravaganza of wine and food on Sunday and bid a fond au revoir to France and Bubbly, its 2014 theme country and global focus respectively. Although statistics are yet to be compiled, it appears that 2014 was a banner year. The festival is a fundraiser for Bard on the Beach Shakespeare Festival. Ranging from maritime to Mediterranean to continental climates, Australia boasts over 64 designated wine regions including Coonawarra, Yarra Valley, Barossa Valley and Hunter Valley, Margaret River, Clare Valley, McLaren Vale and many others. “There’s been an exciting evolution over the past decade in Australian wine; diverse wine styles, emerging regions and sub-regions, next generation winemakers and a re-energized approach to market. We look forward to showing this to festivalgoers at VIWF in 2015,” says Angela Slade, Wine Australia Regional Director – North America. In 2015, the global focus is on Syrah. One of the top 10 most grown grapes, Syrah can be found throughout the wine world, from the Rhône Valley to the Barossa Valley to the Okanagan Valley. Syrah rose to prominence through the classic northern Rhône Valley wines, Hermitage and Côte-Rôtie. In Australia, where the grape was introduced in 1832 and is commonly called Shiraz, Syrah is popular as a varietal, a sparkling wine, in a blend with Cabernet Sauvignon, or even co-fermented with some Viognier. The southern Rhône blend of Grenache, Syrah and Mourvedre (GSM) is widely produced in South Australia and California’s Central Coast, as well as in Rosé production. 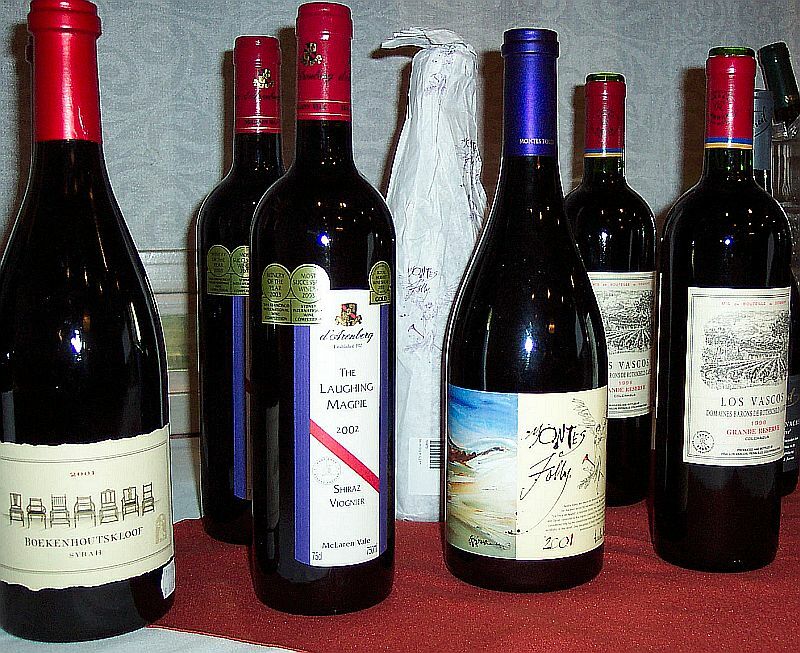 The 2015 Vancouver International Wine Festival takes place February 23 to March 1 at the Vancouver Convention Centre and other venues throughout the city. Advance tickets and passes go on sale on Tuesday, November 4, 2014 at 9:30 a.m. All public events go on sale Tuesday, January 6, 2015 at 9:30 a.m. Tickets to Trade Days events go on sale Tuesday, January 27, 2015 at 9:30 a.m.
Canada’s premier wine show will mark its 37th anniversary of pairing wine, food and the performing arts from February 23 to March 1, 2015. Next year the festival will feature Australia as the theme country and Syrah as the global focus. In 2014, it featured 177 wineries from 14 countries pouring 1,750 wines at 54 events to a projected 23,000 admissions. The Vancouver International Wine Festival is produced by the Vancouver International Wine Festival Society, which has three mandates: provide an informative, educational and entertaining wine experience for public and trade; be a premier marketing opportunity for the wine industry and festival partners; and raise funds for the Bard on the Beach Theatre Society. Since inception in 1979, the festival has raised $8.1 million for the performing arts. The presenting sponsor is The Vancouver Sun. For more information visit VanWineFest.ca, like us on Facebook, follow us at @VanWineFest, or join the conversation at #VIWF. Celebrating its 25th season in 2014, Bard on the Beach is one of Canada’s largest not-for-profit, professional Shakespeare Festivals. It is presented on the waterfront in Kitsilano’s Vanier Park, adjacent to Vancouver’s downtown core. The Festival offers Shakespeare plays, related dramas and several special events in two performance tents every June through September. In 2013, festival attendance was 89,000 and over 1.3 million patrons have experienced Bard since its inception. The Festival’s 2014 dates are June 11 to September 20. The 2014 line-up features A Midsummer Night’s Dream, The Tempest, Cymbeline and Bill Cain’s Equivocation. French vs Australian Wine – Which Do You Prefer? The Seasons in the Park Restaurant would like to know too, so they are hosting a tasting featuring wines from both countries on July 2, 6:00pm – 7:30pm. Here is their tasting announcement. 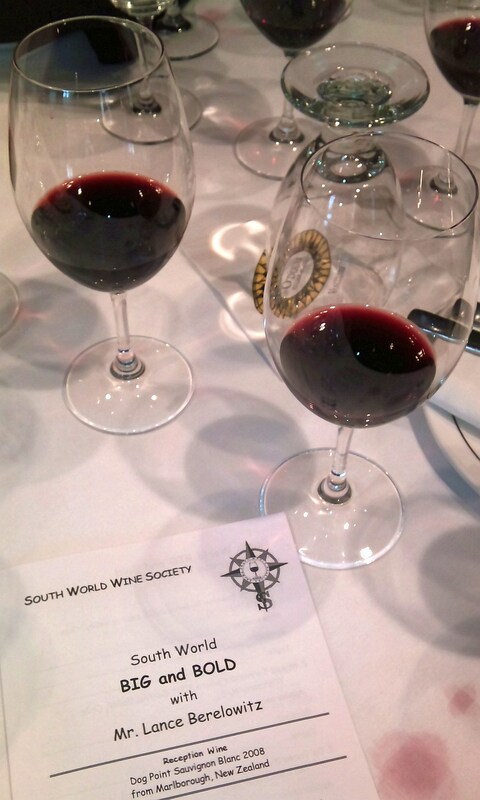 A stylistic comparison between wines from the “Old World’ (France) and the “New World” (Australia). Don’t miss this chance to taste the very best of the old master of wine, France, up against the new world upstart, Australia. 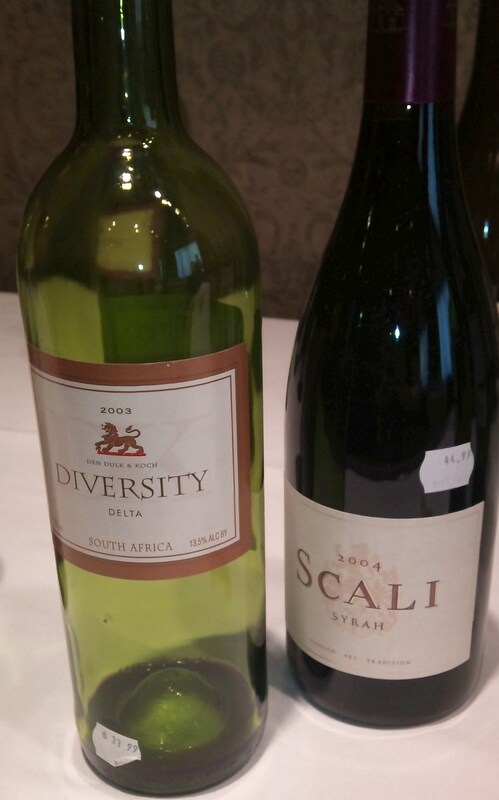 Wines presented by Jonathan Mergui of Liberty Specialty Wine Imports. All wines beautifully paired with canapes thoughtfully prepared by Sous Chef Christopher Tse! W 33rd Avenue at Cambie St. I waited on pins and needles for the Magnum Party at the Taste of Tulalip. The line up of wines was outstanding. In case you didn’t see my earlier blog article, here is the lineup. The event was held in the mPulse Lounge. Sheik furniture, amazing wines, and food to enjoy the wines with. What else could you ask for? I didn’t take any detailed notes; it was just not possible. It was a time to just live in the moment and experience these wines. So enjoy the following few pictures and the tidbits of notes by me. 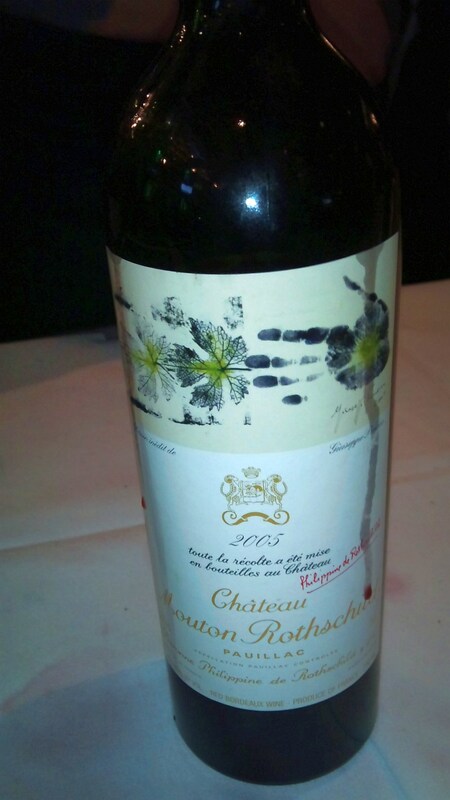 Chateau Mouton Rothschild is an iconic wine maker from Bordeaux. And 2005 was a great year for wine in Bordeaux (and Burgundy BTW). 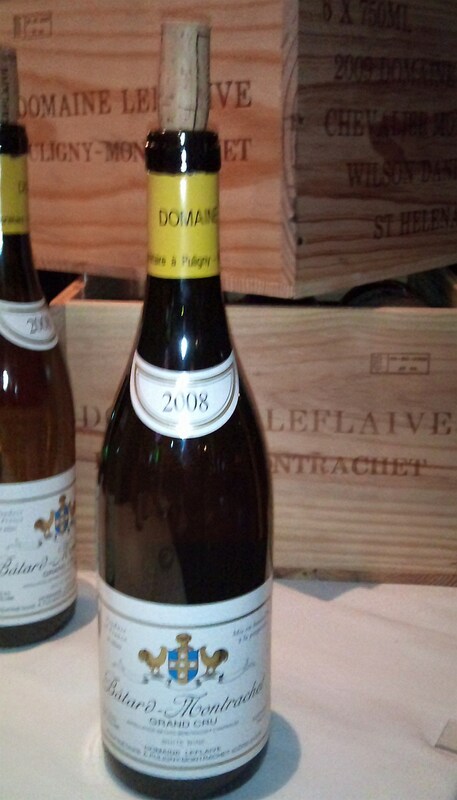 If you are a Burgundy lover, here is one for you, Batard Montrachet Grand Cru. 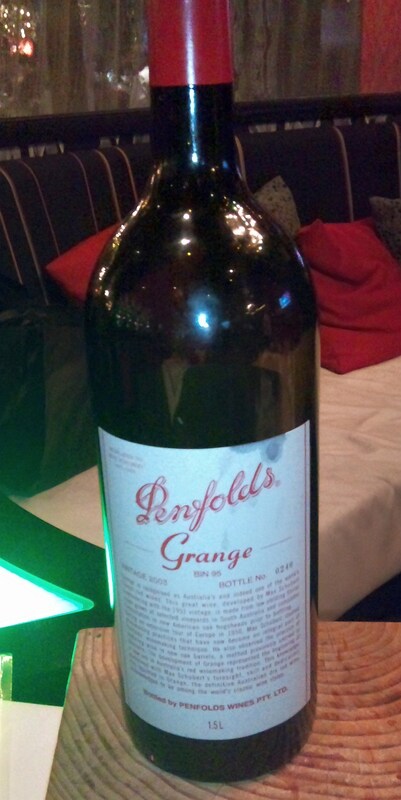 Penfolds Grange 2003; One of my favourite wines at the Magnum Party. An iconic Shiraz from Australia. Velvety smooth and full bodied. Did you notice it is in a numbered bottle? 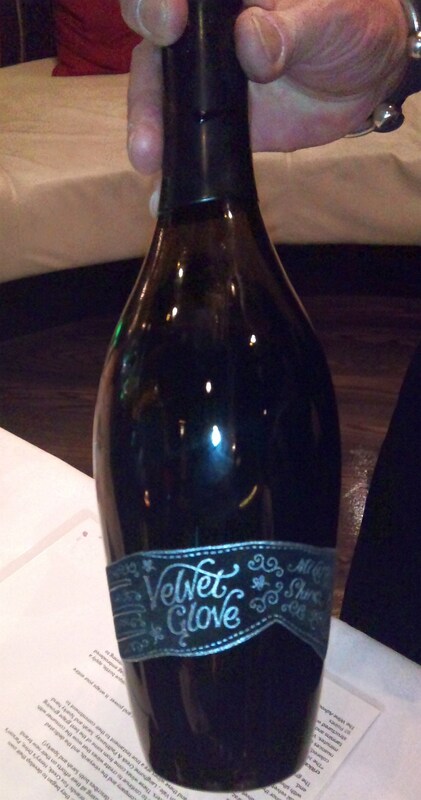 The Molly Dooker “Velvet Glove” Shiraz was also exceptional. Great ripe fruit flavours. This is the wine you may have heard about having a palette accident in Australia, destroying many of the bottles that were on route around the world. The Quilceda Creek Cabernet Sauvignon is from Washington State. This was another big Cab. Napa doesn’t have big Cabs cornered in the USA. Give this wine a try. It’s very high quality. If you like Pinot Noir, the Rochioli Russian River Valley Pinot Noir 2009, is full bodied, silky with black cherry and spice. I hope you enjoyed these wines vicariously and hope you have a chance to try them in person some day as I did. Enjoy! Christmas gives you an excuse to indulge in dining, sparkling wine, desserts and more. In the more category, I’d like to let you know about a few stickies (that’s the Australian term for a fortified wine they produce) and port wines that I tried at the last IVSA Trade tasting. While these wines may appear expensive, compared to a bottle of wine, you just sip a small amount so these fortified wines will last much longer. I’d be happy to drink these wines on my own, or share with friends and family, and hope you will too. 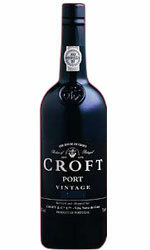 Croft 1991 Vintage Port, Portugal ($89.49). Deep ruby in colour with no sign of aging. Cedar, flowers and plum on the nose. Very nice aromas. Medium body and medium sweetness with cherries, blackberries and spice. Long length. A very high quality wine. Note that most ports are non-vintage. A declared vintage happens in years when the grapes are of very high quality and the port produced as well from it. Not every year is a declared vintage. Broadbent Madeira Rainwater NV, Portugal ($26.99). Have you ever tried Madeira? Madeira is a fortified Portuguese wine made in the Madeira Islands. From Wikipedia “…Madeira is noted for its unique winemaking process which involves heating the wine up to temperatures as high as 60 °C (140 °F) for an extended period of time and deliberately exposing the wine to some levels of oxidation. 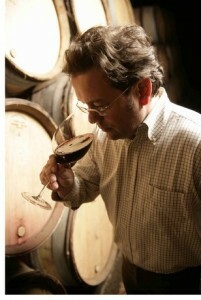 Because of this unique process, Madeira is a very robust wine that can be quite long lived even after being opened..” This Madeira is pale toasty orange in colour with a smoky caramel nose. Sweet with medium body, spicy and nutty, including dark chocolate flavours. A different wine to try. Pertaringa “Full Fronti” Fortified Muscat NV, Australia ($31.99). This wine is what Australians call a “stickie”. 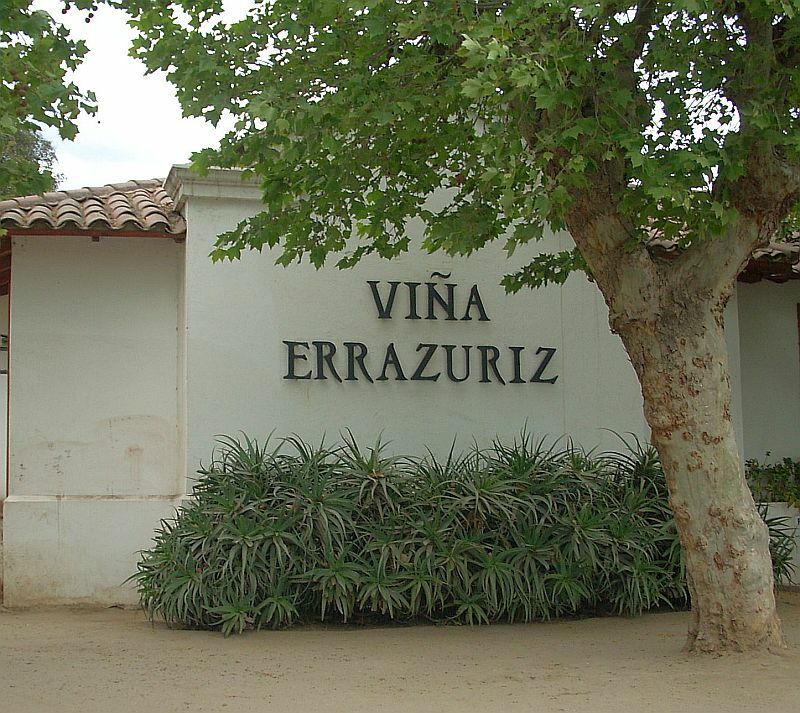 These wines are produced from grapes that have begun to raisin on the vine. Alcohol is added before fermentation completes so that the wine still has some sugar. This sweet wine is then aged in a solera type system. Oxidation occurs during the aging process and evaporation in the hot Australian climate. The final result is a concentrated full bodied sticky sweet wine. This particular wine was light amber in colour. Big aromas in the glass of orange, caramel and spices. Medium body, sweet with caramel, spices, nuttiness and orange. Lots of flavour and lots of fun. I was told that this wine is available at Firefly on Cambie at 12th Ave. in Vancouver. Enjoy Christmas, and enjoy these dessert style wines. Are you interested in having a wine tasting of fortified wines? Contact me at mywinepal. Below is a sampling of the wines that will be poured on Saturday, Nov. 12 at the Taste of Tulalip. During the Magnum Party you can nibble on some of Kathy Casey‘s dishes from her latest book Sips and Apps. From what I’ve seen, these wines, amongst others, will be poured. Many iconic wines in this list. It could be a chance of a lifetime to try these wines together in one place! Champagne, an Australian icon, Burgundy, Bordeaux, Napa, Italy; they are all here. I am really excited about this lineup and can’t wait to taste them myself. I mentioned that Kathy Casey will be serving food to accompany these wines. 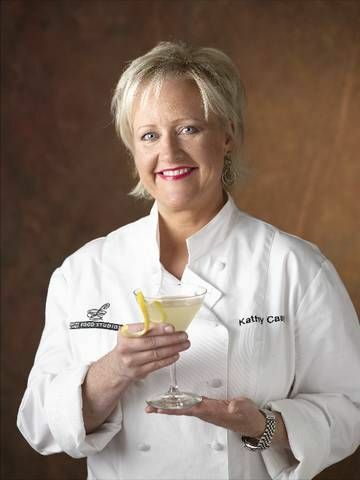 In case you don’t know, Kathy Casey is a celebrity chef, mixologist and pioneer in the bar-chef movement. She played a key role in bringing Northwest cuisine and women chefs to national prominence and, as one of the first female executive chefs in the United States, she was named one of Food & Wine’s “hot new American chefs.” She has also been touted as being the original Bar Chef. Take the short drive to Tulalip in WA state and have a fun time trying wine and tasting food for a weekend. To buy tickets to a Taste of Tulalip, follow this link.